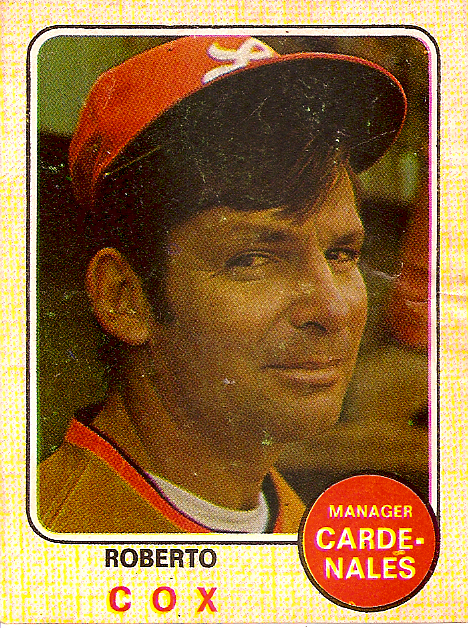 Ray – don’t feel bad, I’m a Padres fan – no cycle & no no hitters there either. Thank you so much for the recommendation!! Best book I’ve read all year and I honestly don’t know how anything can top it for awhile. If that guy didn’t laugh then he is seriously missing a funny bone for sure! And I’m a girl so some of that humor could have been…well…a little under my radar eh? But it was so well written that there was no way to NOT giggle while picturing the conversations and antics. And then he would make me cry. Argh! I love books that leave me feeling highs and lows like that. I’m so glad to see someone with authority on the sport defend Joe Buck et al for supposedly ruining a no-hitter. It would’ve been cool if he’d pulled it off, though. 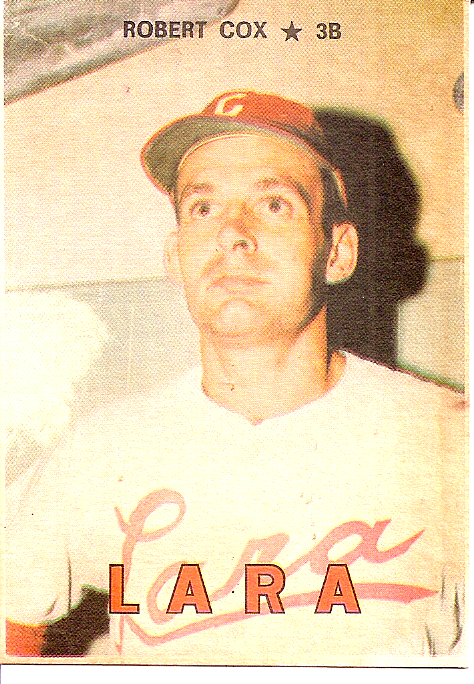 Pete Van Wieren conducted a career-long crusade against that particular superstition, with frequently hilarious results. 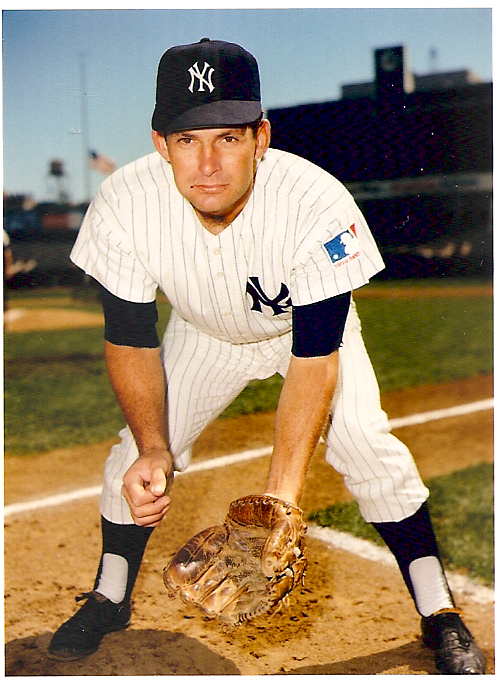 Keith, every time you blog about Dirk Hayhurst’s The Bullpen Gospels, I feel downright queasy that I don’t have a copy of it my hot little hand, as yet. Never fear, I will tame a copy of that book and read it from cover to cover. Having read the user comments on Amazon.com, there is no way I’m going to miss out on the octopus-copping-bagpipe episode, which left one Amazon reviewer laughing so hard he was barely able to catch his breath. Is there any better recommendation than that? Well, yes, there is. I greatly look forward to Hayhurst’s much trumpeted ?gifted? writing as a diarist, having been a diarist myself for more years than I’d care to remember. As far as Chaz Scoggins’ seemingly humor-challenged review . . . boys sometimes stay boys. Keith, this is one of my favorite posts of yours. I found all four sections to be very interesting. Umm…..the Scoggins thing……lol…..people are strange. Made me think of Seinfeld….and just things I’ve frequently witnessed in life…..and things that have happened to me. Obviously these two phenomena are related. Those round leathery objects aren’t baseballs…they’re eggs. That creature in the photo has simply adapted to her man-made environment, and found a cunning method to disperse her offspring. With any luck, some of those “balls” will be given a place of honor in warm, cozy homes. Unwitting fans (who foolishly scrambled to catch a fly ball) won’t realize what a horrible mistake they’ve made until the household pets start to disappear. 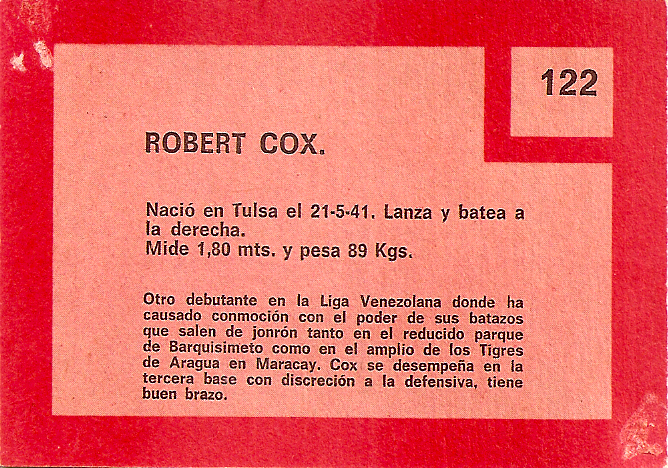 Gracias – for posting the Roberto Cox Venezuelan card collection.